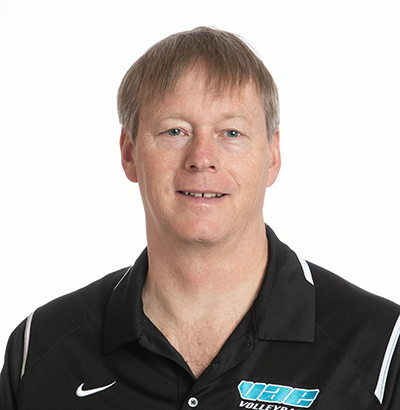 David Sears begins his eighth year with Virginia Elite as an assistant coach of the 14’s team. He has coached multiple 13’s and 14’s teams alongside his wife, Kim Sears, to several top finishes at national qualifiers. Prior to joining Virginia Elite, Sears was an assistant coach at NCAA Division I George Mason University, where his wife was head coach at the time. From 1978-1980, Sears played as starting right side hitter for The Ohio State University. After graduating, he continued to play on an open level USAV team for 13 years against the most elite competition on the east coast. He totals over 40 years of volleyball experience. Sears graduated with a bachelor’s from Ohio State and earned an M.B.A. from the University of Maryland. He and his wife had three daughters, two of whom are alumni of Virginia Elite; Sarah, who played at Stetson University, and Lauren and Emily, who played for the University of Southern Mississippi. He now resides in Ashburn, Virginia, and works as a Sales Consulting Manager for Tableau Software.